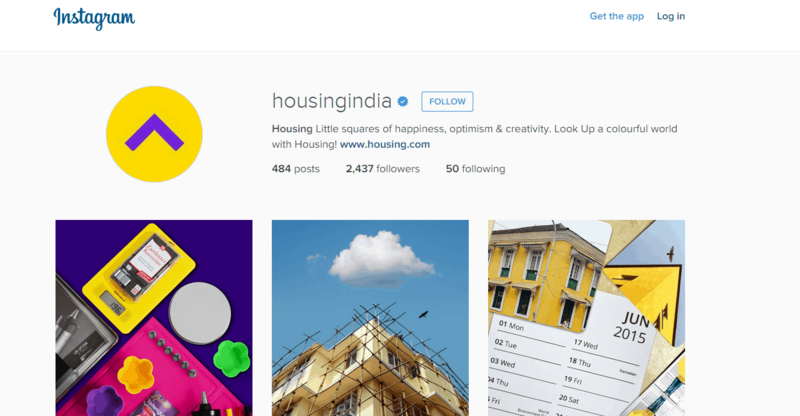 Housing.com has recently grabbed attention with the controversial talks from its last CEO Rahul Yadav who last week was fired from the company after the board meeting. In 2015, Housing.com came into the limelight because of a mental conflict between CEO of Housing.com Rahul Yadav and Sequoia India MD Shailendra Singh. The conflict arised when Rahul Yadav alleged Singh of poaching Housing.com staff. Earlier Rahul Yadav had given all his shares to his company employees. The company is backed up by Japan’s Softbank, which has a 38 percent stake in Housing, Nexus and Helion. In December last year, Housing.com received $90 million funding, led by Japan’s SoftBank, valuing the portal at about $250 million. The venture was started by a group of 12 IITians who confronted a housing crisis. Some left the venture after giving their best and currently there are 8 founders who are serving the daily needs of the people hunting for home. The IITians have put intensely in innovation and have made it the country’s first map-based portal, subsequently increasing current standards for accommodation on the internet. In September 2013, “Housing.co.in” bought the domain name “Housing.com” and a national number, 03-333-333-333, for a whopping $1 million with intentions to target international users in the near future. A Journey: How Housing.com stepped in the Real Estate industry? A group of 12 young boys including Rahul Yadav, past CEO of Housing.com from IITB started searching their house once they passed out in Mumbai. It was literally impossible to find their accommodation after passing out. They spent a month on the roads of Mumbai searching for a decent accommodation but failed. After lot of searching they found a house near IITB campus, Powai. Since they had a huge network of IIT’s friends and potential clients, they became brokers of Flats and started helping friends. Interestingly they made 1-2 lacs per month from brokerage within a short period of time. They aspired of bringing themselves on national arena and Housing.com was born on June 2012. The Mumbai based real estate search portal Housing allows customers to search for housing based on geography, number of rooms, and various other filters. The company has 6,000 brokers and serves 40 cities in India including Mumbai, Bangalore, Kolkata and Delhi. It was now time for national expansion. But they lacked extensive local knowledge of different cities and states. So a well-planned map-based portal, “housing.co.in” was made open for public in June 2012. Housing.com has raised four rounds of funding since its founding in 2012. In June 2013, they raised another $2.5 million followed by an unannounced raise of funds valued $3 million from Nexus Venture Partners. The company used the funds to create its Data Science Lab and to expand to cities like Chennai, Delhi, Noida, Ghaziabad, Hyderabad and Faridabad with a strong staffing of 700 employees and a 1 lac per day unique user base. Housing.co.in managed to get two rounds of funding, out of which one was worth INR1.5 crores from Haresh Chawla, the former CEO, Network18 in February and the other one was worth INR50 Lakhs from Zishaan Hayath, the co-founder of Chaupati Bazaar in March 2013. In November 2013, housing.com added child friendliness index (CFI) to its platform measuring neighborhoods in three different criteria’s: Number of schools in an area, Number of hospitals and parks in an area, and Proximity of these facilities to the area. In January 2014, they launched their first ever new iPad app. In April 2014, housing.com launched Demand-Supply Monitoring Tool. In June 2014, housing.com raised USD $19 million collectively. In the current round, Helion had pumped in USD $8 million, Nexus invested USD $7 million, and Qualcomm put in USD $4 million. The new acquisitions for Housing are just over $1 million. The company is expected to hit its first international expansion within the next 6 months. The startup maps out the details of the property and provides other related information’s including pictures to rental, security deposit, details if furnished etc. Currently, the company’s revenue model is subscription based where landlords, agents, developers, land owners buy display on the site. After that, the company’s data collectors physically verify the property, clicks pictures before putting them up on the portal. There are bi-annual and annual subscriptions. They charge INR 5,000 for its 6 months subscription pack and INR 8,000 for an annual subscription. The company’s revenue details cannot be revealed due to investor confidentially clauses but it was reported that the portal broke even their operational cost in the Mumbai market in nine months. offer the buyer a discount if their services are purchased through your website and charge them a fee. 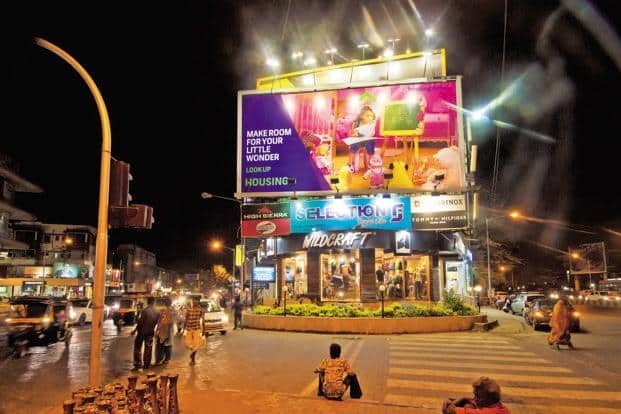 Housing ads are everywhere in billboards, hoardings, TV, Radio, internet. Housing is pumping every channel with ads. Social media has been buzzing with bewilderment at the amount of money Housing has been spending on advertising. Housing.com is social media strategy is critic friendly, focused and ROI driven and their all the elements is drive back high traffic. The brand decodes lead generation with ease. Housing is working on the building more and more supply for which more people need to come on the site and that is the premise for advertising. Online real estate website Housing.com is expected to spend around $40 million on advertising and marketing in 2015 to build its brand and grow its business beyond the big cities. Housing.com unveiled its “Look Up” campaign that Housing started in March. The brand and the mission statement was named as ‘lookup’ and designed by Moving Brands. It is first marketing initiative introducing the brand to the masses by showing how the basic need for a home is a critical part of an individual’s journey. There is an effortless synergy flowing across Facebook, Twitter and Google+, when it comes to content development and business targets. Maintaining a uniform appearance across all social platforms makes it easier for users and followers to identify you and your social network pages; it encourages recall. Instagram is an invaluable platform for reaching out to followers and engaging them in ways that do not necessarily lead to product or sales leads. Instagram is a great space to curate stunning photos, and garner a following of people who share the same interests. Housing has started to incorporate real images and illustrations in its Instagram account, as opposed to vector images on other platforms. Housing hosts an informative and invigorating portal. The blog identifies the needs of potential visitors and generates quality leads, by devising a strong content plan. Content is directly linked to achieve certain goals. Marketing is about ROI and this can be achieved when your service gets the attention it deserves. Housing.com has engraved its features across social profiles. Housing’s Data Science Lab (DSL) has generated a number of “Heat Map” algorithms and demand flux maps based on these filters. The CFI heat map shows child friendliness in a particular area and it measures neighborhoods on three different criteria: number of schools, number of hospitals and parks, and proximity of these facilities to the area. The algorithms also demonstrate price variations in properties across the city. Housing.com mission is to help millions of people struggling for months trying to find real estate that meets their requirements. Today, they have over eight lakhs verified listings across 50 cities and over the next few quarters, they will expand to 300 cities and map approx. 40 million houses in India.